Compare all the latest deals from CenturyLink, HughesNet, Viasat Internet (formerly Exede) and 5 other providers in 85339. Based on 5 verified users. Early Termination: If you choose to cancel your contract before 1 year you may be charged an early termination fee of up to $25. If you’re trying to choose an Internet or TV service provider, it's important to be informed of all the choices that are accessible to you in your zip code. Finding an internet service provider that you can rely on can be a tricky choice, especially when there are so many different Internet deals. Plus, you likely have dozens of deals available to you at the same time. With this in mind, we've worked to make selecting a provider much easier. Instead of having to conduct your own research into what providers are available in 85339, our team has already done the hard work and sorted through the providers that have services and deals to offer. Our tools let you see service providers in 85339 and compare what they offer. 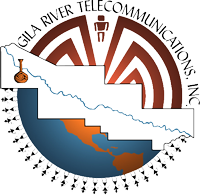 Our comparison tool makes it simple to locate a good internet provider in 85339, or view providers in some nearby locations in Arizona. Our comparison tool makes it easy to arrange through companies available in 85339 and filter them based on their recommendations and pricing. Being aware of all the Internet companies in 85339, you can get the best broadband package without a high cost. 85339 is located near to 85009, 85041, 85042, 85043 and 85045.